Do you have unhealthy trees on your Midlothian property? Are branches dying or are there signs of disease? Are insects infesting the tree branches or root area? C.S. Flournoy Inc. can help you take care of these problems. We can also help you identify tree species and advise you on how best to take care of each variety yourself. We offer many other services as well. With more than 30 years in the business, our team is made up of highly skilled Richmand tree service experts. We offer reasonable rates and welcome insurance claims assistance. Whatever you need to do, large or small, we are capable of taking care of the job. A certified arborist can help you with many things including identifying tree species, ascertaining the current health of a tree, identifying and treating tree diseases, and providing proper care for the trees on your property. C.S. Flournoy Inc. is your local Midlothian certified arborist. In addition to the above, we can advise you on the proper location for tree plantings to ensure a long-term healthy life and take care of proper training for young trees. Though we love to see trees grow and stay healthy, there comes a time when a tree has to be removed. Sometimes it's because of where it grew and sometimes due to disease or storm damages. We recommend grinding the stump as well. This ensures there won't be any shooters growing afterward and that the area is not hazardous or unsightly. 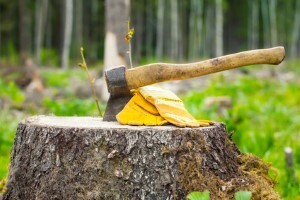 Plus, stumps attract insects such as beetles, termites, ants, and wood-boring pests. If you are looking for a Midlothian Tree Removal Company then please call 804-264-1000 or complete our online request form.